Johannes traditional rustic men’s boots. 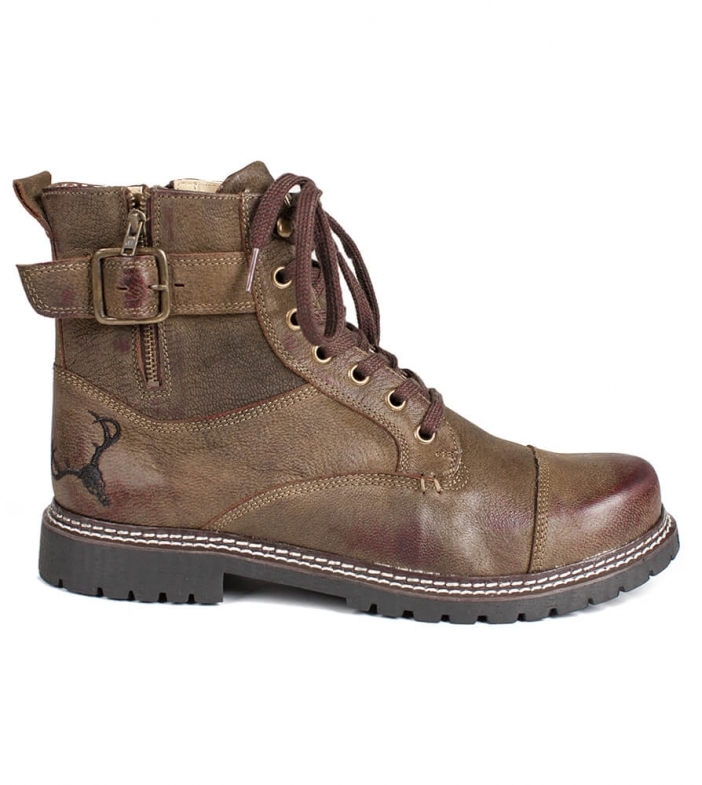 While these traditional men’s leather ankle boots are durable enough for hiking, they have the right look for any occasion and are made from 100% leather. In addition to the lacing up the front, the boots also come with a zipper up the side and a Bavarian buckle at the side, while the heels are embossed with the deer head logo. Sehr schöner Stiefel, leider war die Größenangabe nicht korrekt. Fällt kleiner aus! Schöner Stiefel, gut Verarbeitet und der Preis geht auch in Ordnung. Fällt etwas klein aus.